The 6" Aeromat® Balance Pods are a perfect tool for balance training and motor skill development. Arrange the pods in any position and step from one to another. Or simply place the flat side down for moderate balance training or the pebble side down for more of a challenge. The Pods are available in three colors: Yellow, Purple and Orange. Colors do not represent a resistance level. Sold as a pair. The pods are inflated to their recommended size. To adjust firmness, a needle inflating pump is available separately. Available in multiple colors. I purchased a set of Balance Pods after I broke my ankle. 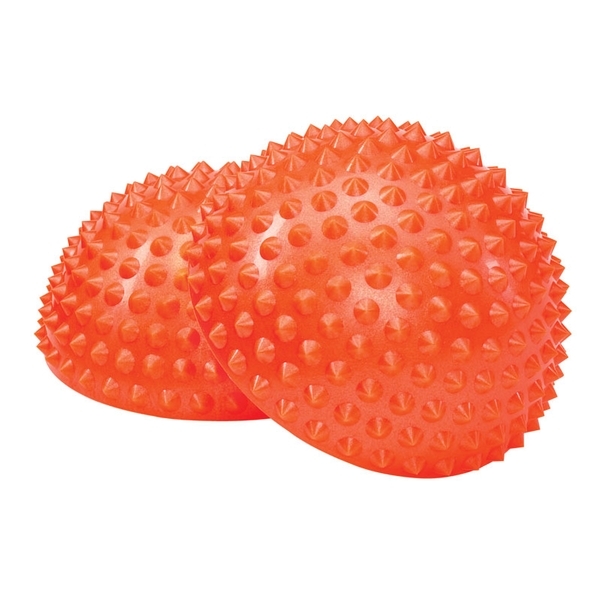 They have helped me with proprioception in my ankle and foot. The therapist made a simple obstacle course with these and the balance mats in my sessions. I would recommend them for anyone who wants to improve balance. Doing squats on them adds difficulty without more weight.